Brand platform and creative expression of this unique educational offering. 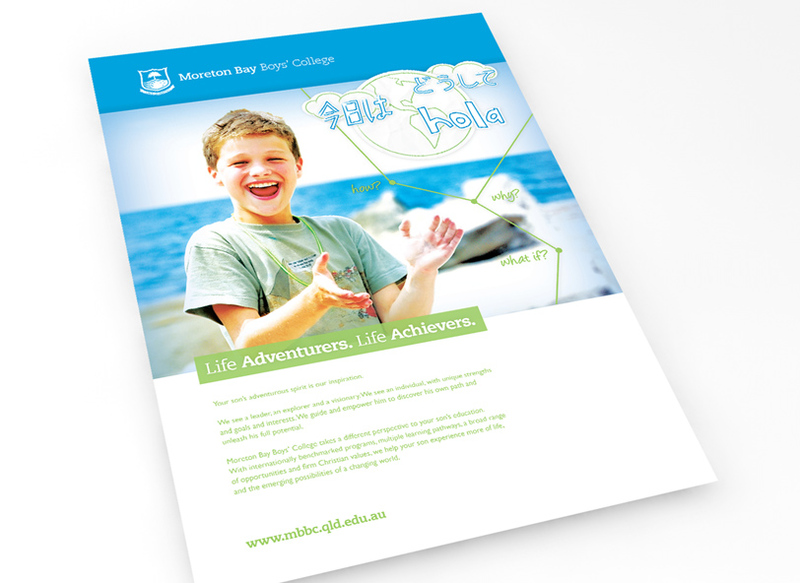 Moreton Bay Boys’ College engaged enso to assist them in developing their brand platform and creative expression of their unique educational offering. 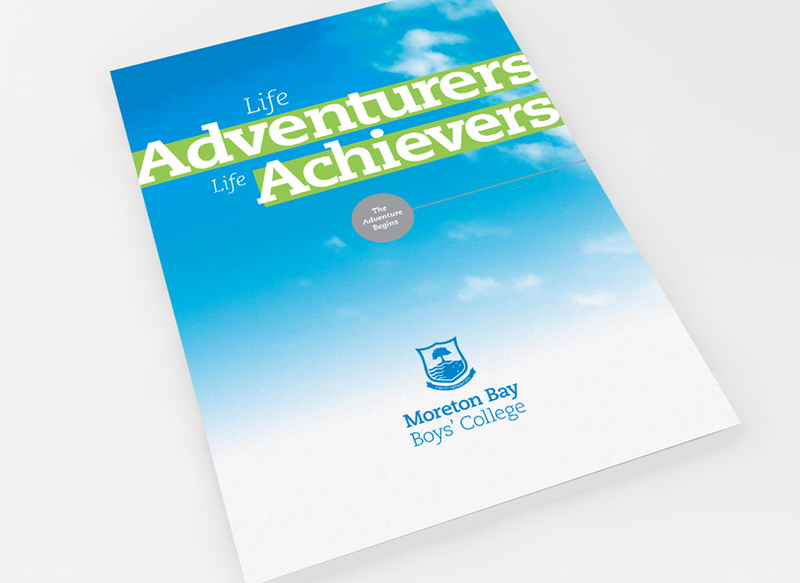 enso worked with Moreton Bay Boys’ College to identify and define their brand platform and unique positioning, and then express it creatively in a refreshed visual identity. Logo work, brand advertising and website development followed the initial brand platform work. Strong visuals with overlaid illustration were designed to make the collateral unique. 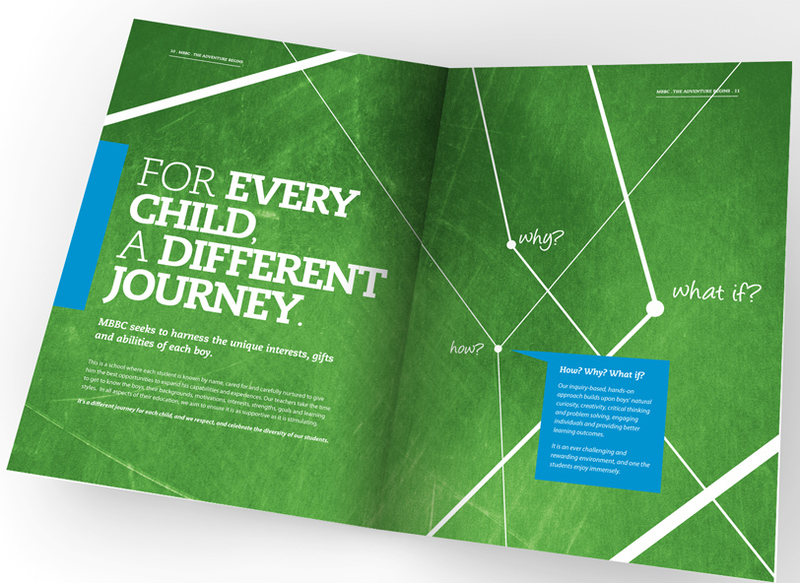 School prospectus, The Adventure Begins. 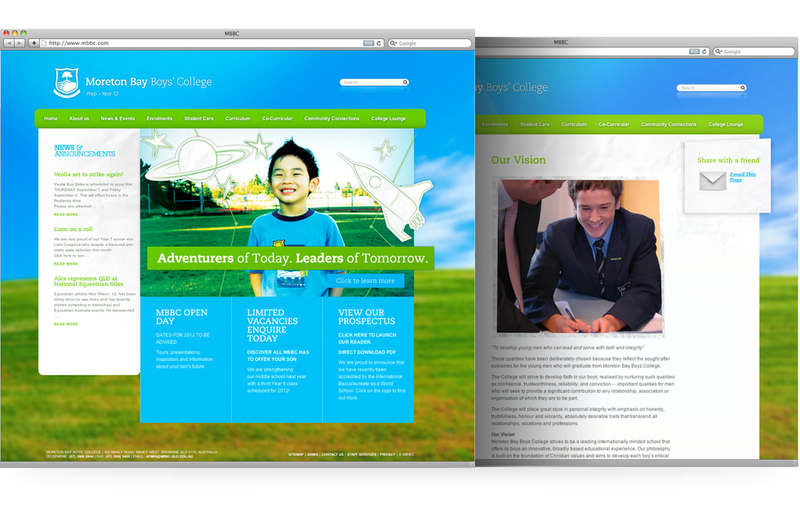 Spreads featured large bold imagery.